I received my PhD in 2008 from the Faculty of Philosophy at Cambridge University, where I held a Gates Cambridge Scholarship and was a member of Darwin College . I have taught at Aarhus University since then. In January 2009, I received the Danish Ministry of Science and Innovation's 'Young Elite Researcher Prize'. In 2011, I received a DFF starting grant, and was named DFF Research Leader under the Sapere Aude program. I edit The Philosophical Lexicon, previously edited by Dan Dennett. I work mainly in epistemology and related fields. 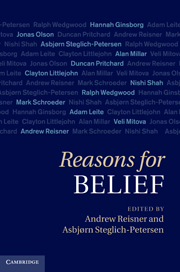 A substantial part of my work is devoted to the nature of belief and epistemic norms, but I have also written on topics such as higher-order defeat, disagreement, mindreading, causation, luck, knowledge ascriptions, thought experiments, the precautionary principle, and more. Below is a sample of representative articles (for a full list with links to online versions, see my Philpapers or Google Scholar profiles). Brings attention to an overlooked feature of higher-order defeat, namely that it can undermine the resilience of a credence. Shows how this can help resolve puzzles concerning conditionalization and epistemic akrasia. Explores what peer disagreement amounts to when the disagreeing parties are groups rather than individuals, given that we think of groups beliefs as aggregates of member beliefs. Outlines a formal framework for representing higher-order evidence, and relies on this to motivate a new interpretation of the ‘equal weight view’ of peer-disagreement. 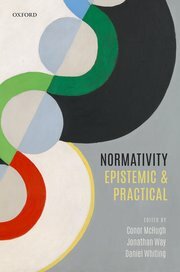 Outlines a new version of epistemic instrumentalism, according to which epistemic permissibility norms can be understood in terms of wide-scope norms of instrumental rationality, and positive epistemic reasons can be understood in terms of instrumental transmission. Considers a variety of explanations of the psychological phenomenon that engaging with fiction tends to affect ‘real world’ beliefs. 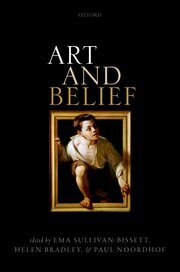 Argues that none of the explanations undermine the idea that belief aims at truth. Brings attention to the role of thought experiments in discovering new theories, rather than in justifying or refuting them, and develops a taxonomy of distinct ways of serving this purpose. Explains why young children acquire the concept of desire before acquiring the concept of belief, in terms of the cognitive tasks acquiring these concepts enable. Defends the reductive account of knowledge-wh and binary account of propositional knowledge, and motivates a general theory of knowledge ascriptions that embed presuppositional expressions. Argues that defenders of the view that epistemic justification aims at truth should embrace the consequence that epistemic justification (in one important sense of that term) is factive. Argues that although general causation and causal explanation may well be contrastive in nature, singular causation is not. Develops a new theory of luck, according to which the improbability condition on luck is understood in epistemic terms. Considers implications for anti-luck epistemology. 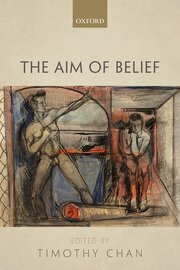 Defends the idea that belief aims at truth from the objection that this aim cannot be weighed against other aims and therefore isn’t a genuine aim. Presents two new arguments against the thesis that intentional states are essentially norm-governed. Argues that transparency in doxastic deliberation doesn’t entail a constitutive norm of correctness governing belief, but instead can be explained by a teleological account of belief. Steglich-Petersen, A., 2012, In : British Journal for the Philosophy of Science. 63, 1, p. 115-143 28 p.
Der skal forskes i "hvad nu hvis"